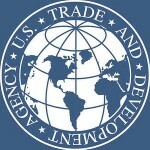 The U.S. Trade and Development Agency awarded a grant which will fund the Owner’s Engineer to provide NextGen Solar with comprehensive on and off-site engineering services and oversee the work performed by the project’s engineering, procurement and construction contractor. The Owner’s Engineer will help ensure that the Kigoma plant is technically sound and meets its performance metrics in a timely, cost-efficient way. The joint team of validators from UNFCC and The World Bank have completed the due diligence on our 5MW Kigoma Power Plant. The plant will save approximately 10,500 tons of CO2 every year. UNFCC has issued the formal Validation Report and requested the project be included in the Tanzania Renewable Energy Program pilot being launched by The World Bank to attract private investors to Sub-Saharan Africa. The National Environment Management Council (NEMC), has awarded the Environment Impact Assessment Clearance Certificate for our 5MW Kigoma solar power project. The Certificate was awarded by the Minister of State – Environment, Vice President’s Office under the Section 92(1) of the Environmental Management Act, 2004. NEMC is the leading technical advisory, coordinating and regulatory agency of the Government of Tanzania, responsible for protection of the environmental and sustainable use of the natural resources in Tanzania. We are pleased to announce that NextGen Solar has been awarded financial support for select project development activities under the Tanzania’s Energy Development & Access Expansion Project (TEDAP) program of The World Bank. This program is administered by Rural Energy Agency (REA) in Tanzania. The program aims to establish a sustainable basis for energy access expansion and renewable energy development in Tanzania. It also contributes to the global environmental objective to abate greenhouse gas emissions through the use of renewable energy in rural areas. We are happy to announce that Overseas Private Investment Corporation (OPIC), US Government’s Development Finance Institution, approved Project Financing for NextGen Solar’s 5 MW Solar Project at Kigoma, Tanzania on September 20 2013, through the issuance of a formal Commitment Letter & Term Sheet. NextGen Solar is now an official Private Sector Partner of US Government’s Power Africa Initiative announced recently by President Obama. Power Africa Fact Sheet highlighting Private Sector Partners can be seen here. On Sep 1, 2013 we signed the land lease with the Government of Tanzania for 25 acres of land at the Kigoma Special Economic Zone (KiSEZ) at the Kigoma-Ujiji Municipality. The solar power plant will will be located at Plot Nos. 242-255, Kigoma Special Economic Zone, Kigoma-Ujiji Municipality, Kigoma, Tanzania. NextGen Solar is one of the first private sector companies to be awarded project development financing under the US Africa Clean Energy Finance (ACEF) initiative. ACEF is a collaborative financing mechanism announced at the United Nations’ Rio+20 conference and developed by the State Department, OPIC and USTDA. Financed by $20 million in State Department funding, ACEF aims to catalyze private-sector clean energy deals. The Initiative aims to align USTDA’s project planning expertise and OPIC’s financing and risk mitigation tools in new ways, to support private sector investment and increase support for U.S. businesses and exporters in sub-Saharan Africa’s clean energy sector. The Power Purchase Agreement has been signed with Tanzania National Electric Supply Company (TANESCO) for the Kigoma solar power plant. Initially, NextGen Solar will be setting up a 3 MW generation capacity connected to the isolated mini-grid at Kigoma which will be expanded to 5 MW based on the incremental demand characteristics.